Good things come to those you wait we are often told, however, rarely does this cliche hold true in my experience. There is, however, always the exception that proves the rule. 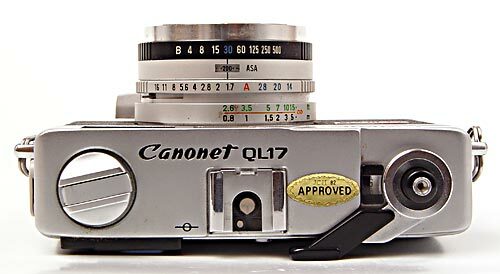 When I first started to collect and use 70's rangefinders the Canonet G-III 17 was lorded as the holy grail of the genre. 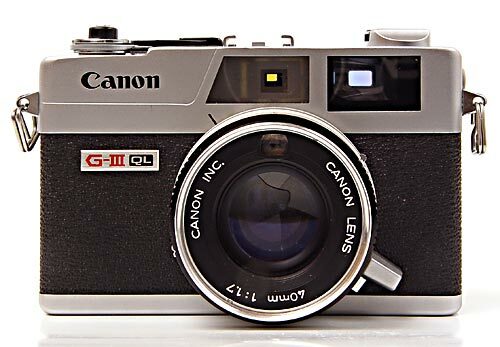 I searched around eBay and local camera stores looking for this compact, fast beauty from Canon but I soon found I wasn't the only one on the hunt and, unwilling to pay the premium the G-III 17 badge commanded, I let the prize experience go to players with more disposable income than me. Recently, browsing the local classifieds on Craigslist while consuming my morning scone and coffee, there she was; a G-III 17 for $40. I shot off an email and a couple of days later picked up my new/old toy. So how did reality compare to the hype? It's not like I didn't already own Canonets. My Pecker 28 is the same size as the G-III 17. 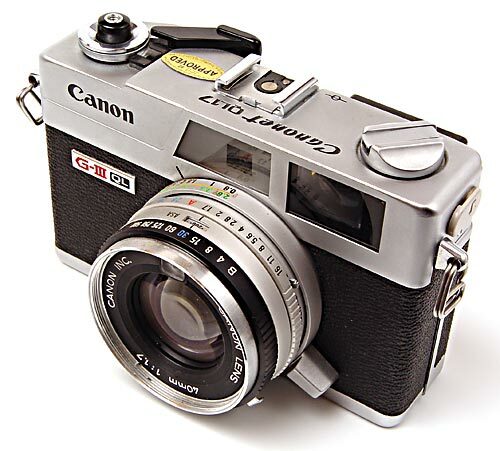 My Canonet 19 and 25 have most of the same features but in a much bigger package and with slower lenses. Boosted by various claims around the web the G-III 17 has the reputation as the best in its class; its class being 70's, consumer rangefinders with fast, fixed lenses. I'm guessing the G-III 17 was a prosumer camera of its day, had that term being coined at that time. You can switch this camera into automatic mode, point, focus and shoot without any further thought. To really take advantage of this camera's features it helps to think a little more than that though. It is a shutter priority exposure system with a fully manual mode too. As is common with cameras of this type and vintage, when in manual mode you get go indication of what the correct expose should be from the light meter. It is still useful. It automatic mode you can see the suggested exposure settings for a given situation. If your subject is back lit it is then a simple matter for you to apply those settings in manual mode and decided how many stops more you want to open up to get a good exposure of the subject. But back to it's reputation; is it deserved? It is certainly a useful, fast camera, small enough to fit in a jacket pocket and quiet and unobtrusive enough to use almost anywhere. But my Olympus RC is smaller and just as useful. I am no lens tester but I do prefer the Zuiko glass of the Olympus over the G-III 17. Perhaps that's just my old Olympus bias showing through but for me, after all the hype, the G-III was a little bit of a disappointment. I'm glad to own and occasionally use the G-III but my Olympus RC will get more exercise. The usual gummy light seals and a new hearing aid battery (with a little packing) were all that was needed to get this camera going. I have had this camera since I was 15 !!!! and it still works like a charm. However, old age has caught up with it ( and me now at 46 !! ), and one problem that I would like guidance on solving is that the frame counter has become stuck (stuck on 16). When I load a new film I have to remember how many frames I shoot, which makes it quite unworkable. Can you offer any help with how to dismantle the unit and fix the counter, and still be able to put it back altogether?? I have 2 canon cameras with flashes and notebook for sale. both are clean and made in CANON INC. of TAIWAN R.O.C.